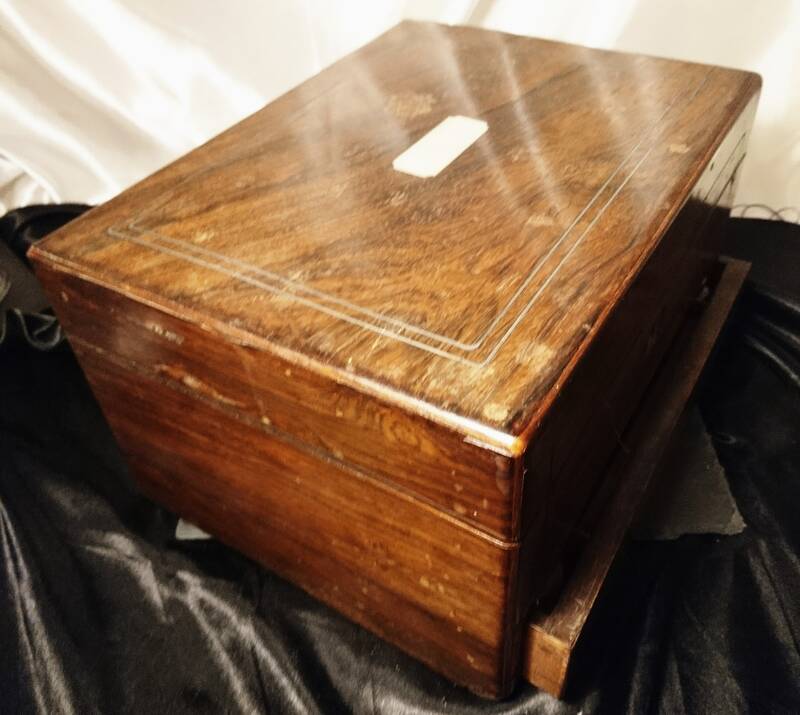 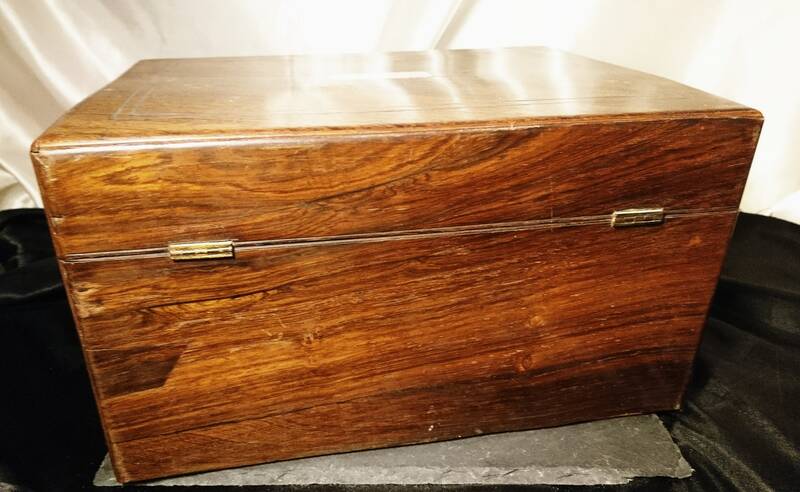 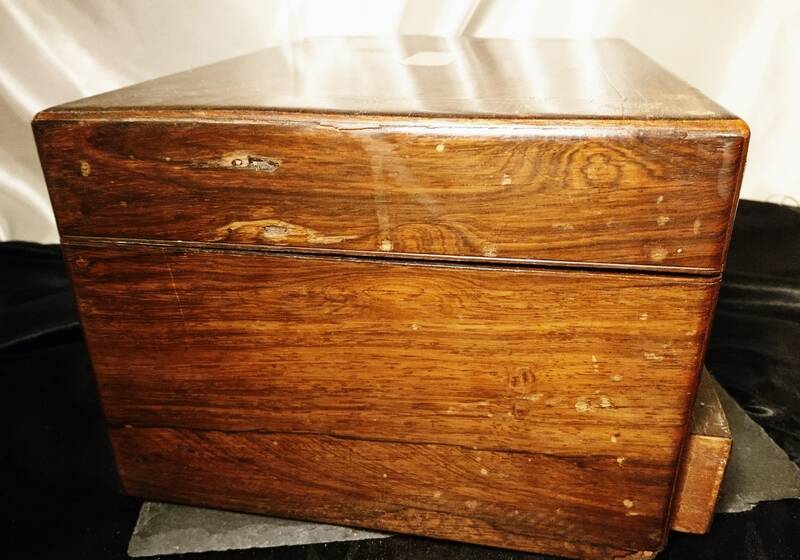 A gorgeous Victorian Rosewood work box with a lovely enclosed velvet covered writing slope which is revealed upon opening the bottom drawer with small inkwells, the top of the box has a yellow satin lift out drawer with lots of compartments perfect for jewellery or sewing. 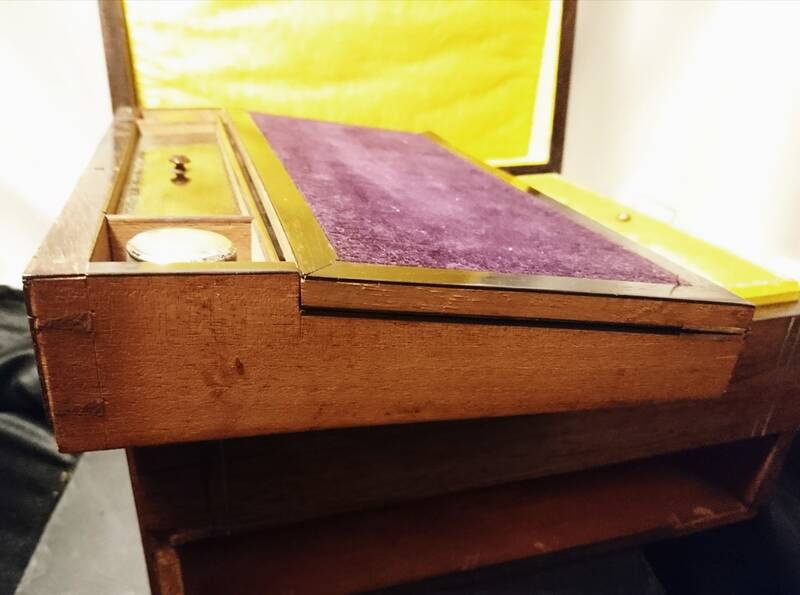 The writing slope is covered with purple velveteen, in the centre of the inkwells there is a small pull out drawer, the interior of the writing slope is in good antique condition for the age. 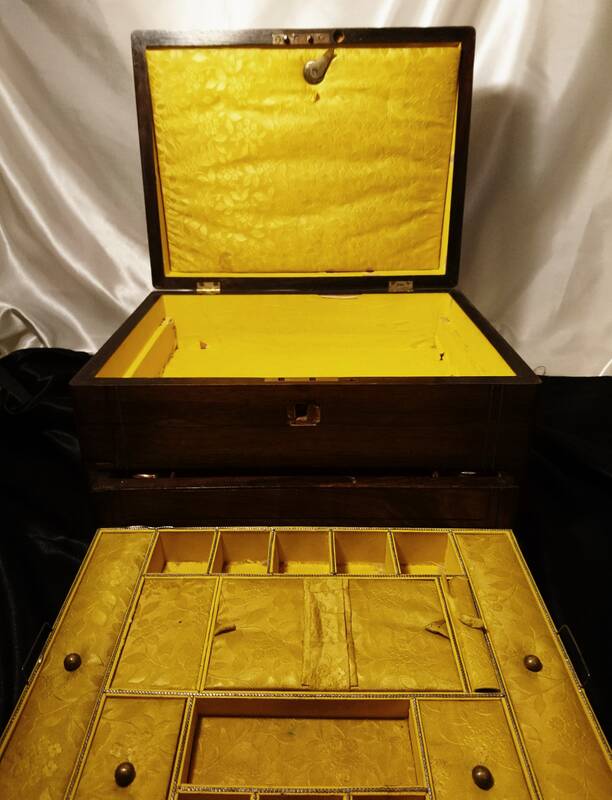 There is an envelope style pull out in the lid also in the same embroidered yellow satin. 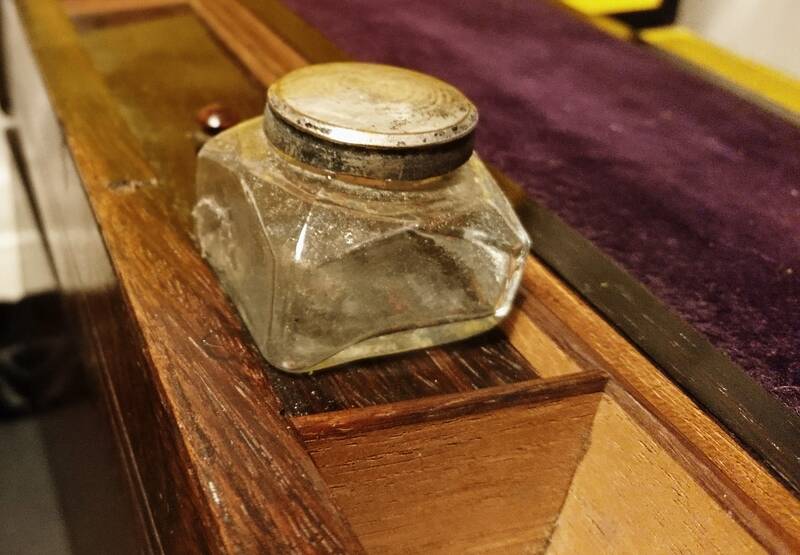 The box has stringing and a Mother of pearl escutcheon on the top of the lid, no lock or key but it did lock at some point. 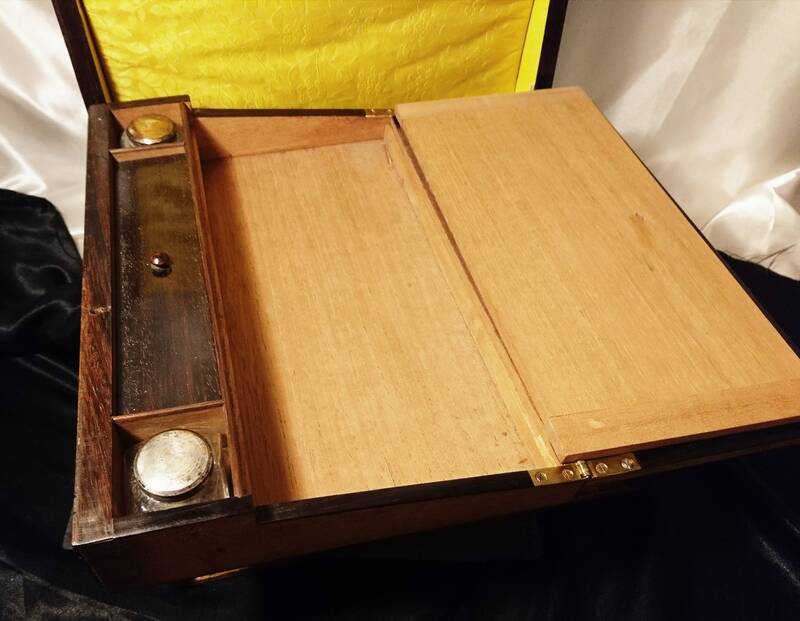 The interior is veneered and the exterior made from solid hardwood polished to a high shine with brass fitments and a central top cartouche which is currently blank. 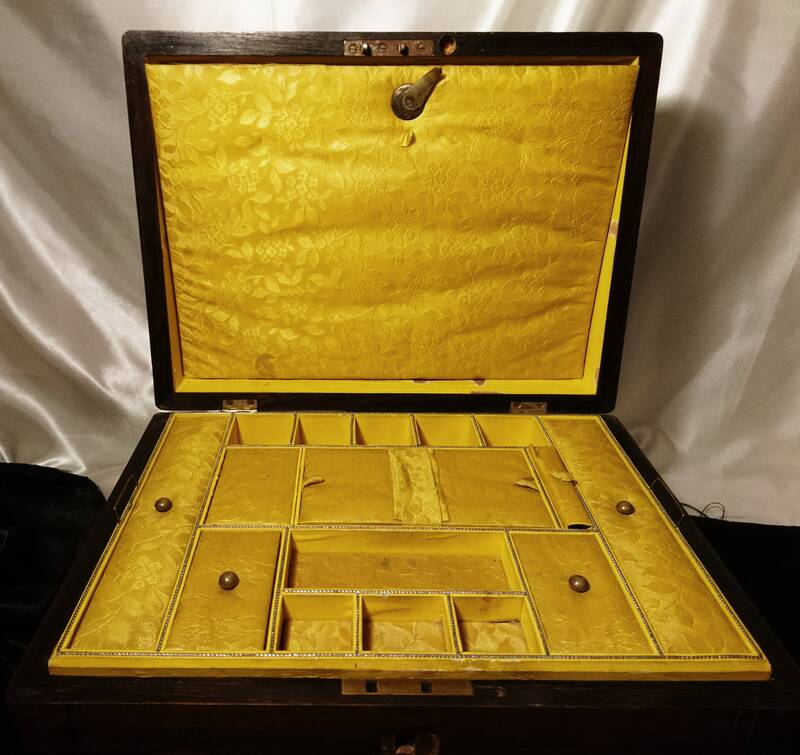 The velvet inside is a muted orange / peach. 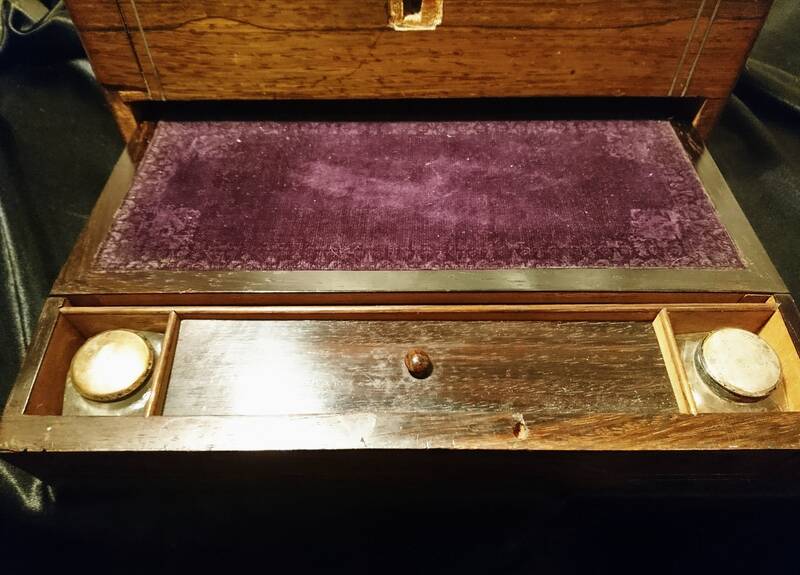 The box is beautiful but it does have some defects, there are chips in the rosewood veneer, the lock is missing, some of the stringing has come away, the bottom drawer operates on a spring push mechanism but the catch is missing so the bottom drawer always stays open slightly, it has some overall scuffs, nicks and scratches. 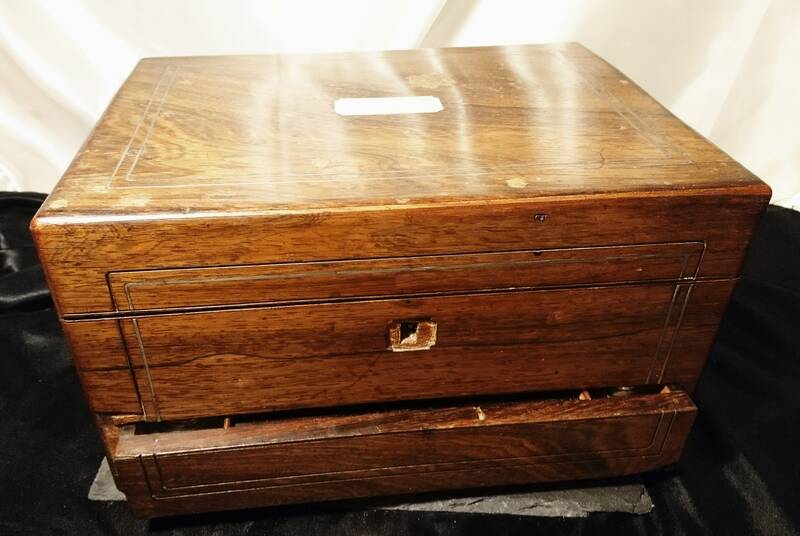 A lovely solid antique box that needs a bit of TLC.